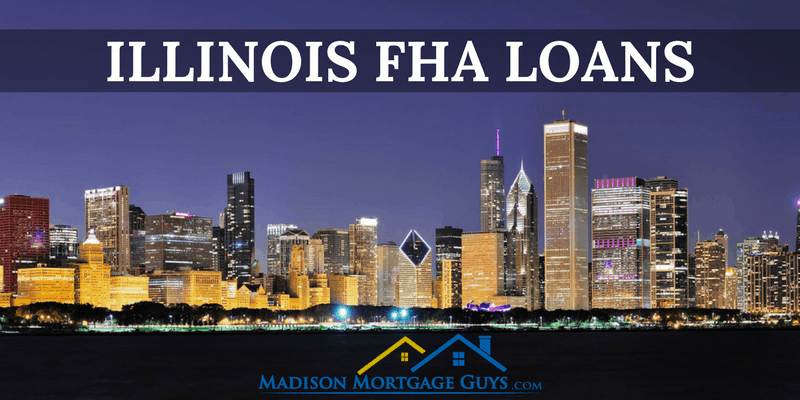 Take a look at the following Illinois FHA requirements to learn more about FHA insured loans. Generally speaking, the credit requirements for obtaining an FHA loan are less strict than the rules for a conventional loan. This allows people with limited credit history, or even some past blemishes, to qualify for a mortgage. While a conventional home loan will often require a minimum credit score of 740 or higher to qualify, FHA home loans are often approved with scores in the lower 600 range. The most important aspect of a person’s credit history, in the eyes of FHA, are the most recent 12 months payment record. If the last 12 months shows that a person is able to meet all of their obligations on time without resorting to borrowing more money, that is usually a sign that the person is ready to take on home ownership. Your pay stubs from your employer. You must have paystubs covering at least the last 30 calendar days. Additional paystubs could be requested depending on how far out the closing date is. Depending on your specific situation your loan officer may ask you for more information. Be prepared to show any of your financial documents to the lender in a timely manner to keep the loan process moving along. Besides showing your actual income, the lender will verify employment to make sure that you have been consistently employed for the last 2 years. While it is ok to change jobs, make sure that you are bettering yourself with a new employer and that there are no unexplained gaps in your work record. The Illinois FHA home loan is designed for people that will live in the home as their primary residence. FHA does not loan money for vacation homes or rental properties. While a condo can be approved for an FHA loan, it takes a bit more of paperwork. Depending on whether it is a newly constructed condo or a pre-existing condo will dictate which guidelines have to be met. Your loan officer can walk you through these guidelines and help you find out if the condo is approved for an FHA loan. The Illinois FHA rules state that a person buying a home must pay 3.5%* of the home’s purchase price as a down payment. This means, for example, that a person buying a home priced at $200,000 would need to pay $7,000 at the closing for the down payment. As long as it is properly documented, the money for the down payment can come from a variety of sources. FHA also has a generous feature that helps a lot of first time home buyers. The money used for the down payment can be a gift from a relative or significant other. In order for the gift to be allowed, you and the relative will need to produce copies of your bank accounts. A 60-day paper trail showing where the funds have been withdrawn from and deposited to will be required. You will also need to write a brief letter explaining that the money is a gift and not expected to be repaid. Be sure to watch out for these no down payment mistakes! There are upper limits on the maximum loan amount available for Illinois FHA mortgages. Homes priced at or below the limits can be eligible for FHA financing. Certain areas of the state have higher limits due to the overall economic health of the area. View additional program details on our FHA page or check out our FHA 203k Loan program for homes that need repairs. Current FHA mortgage insurance requirements.